Perusing the aisles at Planet Comicon can become a tiresome trek winding through Artist Alley, prints of iconic superheroes melding together as a mass of paper and goods become a blur. 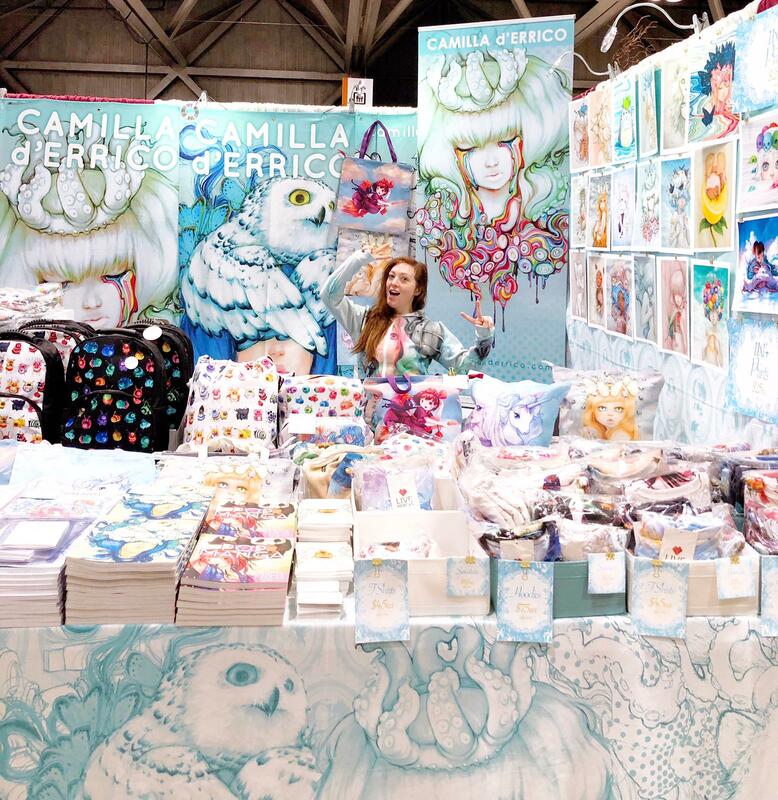 Several artists break the mold and stand out; among them is Camilla d’Errico, her booth shrouded in bright blue with her unique style elevating her above the walls of prints common to the section. d’Errico, of Canada, has had a busy year, with PCC being her third weekend in a row showing at a convention. She said she couldn’t resist coming to the show because she hadn’t been to Kansas City for years and had an open window she had to take. Across d’Errico’s booth were outlandish prints, hoodies, stickers and more that put her unique style on full display for anyone passing by. While her style is heavily influenced by manga, it is accompanied by surrealistic elements that make it stand out. Much of her art features faces and creatures, both real and fantasy. d’Errico said she gains ideas from her real life experiences. 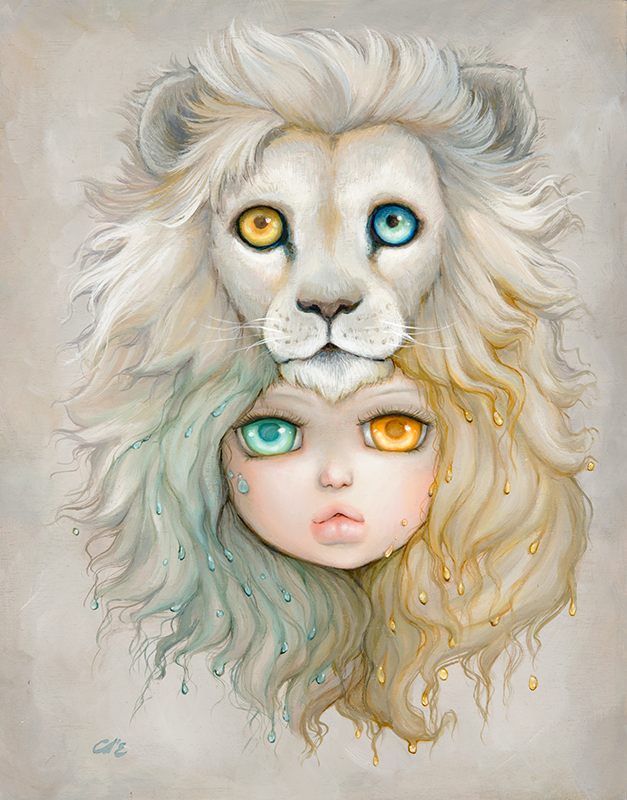 One of the pieces hanging in her booth featured what seemed to be a girl with a lion’s face above hers with gold and blue droplets throughout her hair and one eye of each being blue and the other gold. While the image could easily be chocked up to a manga character, d’Errico explained it was based in Greek mythology. 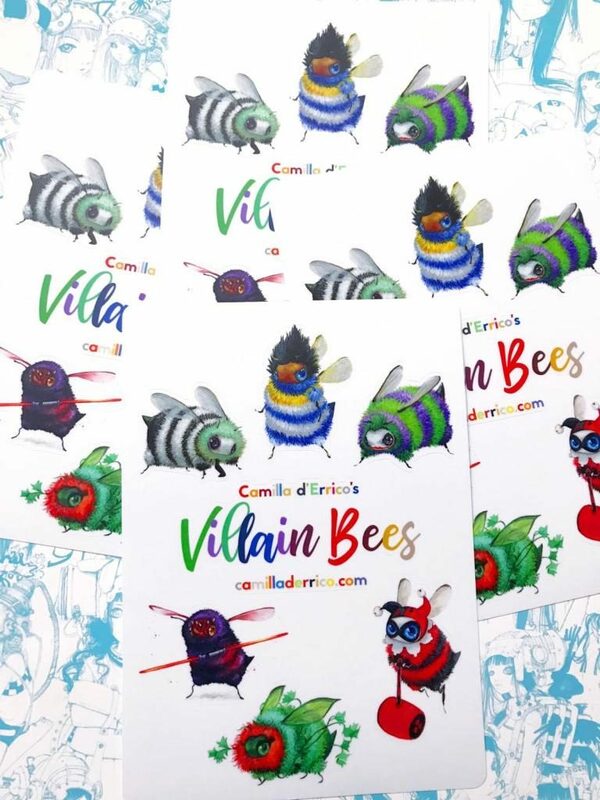 One of the most popular items at d’Errico’s booth was her bee stickers. 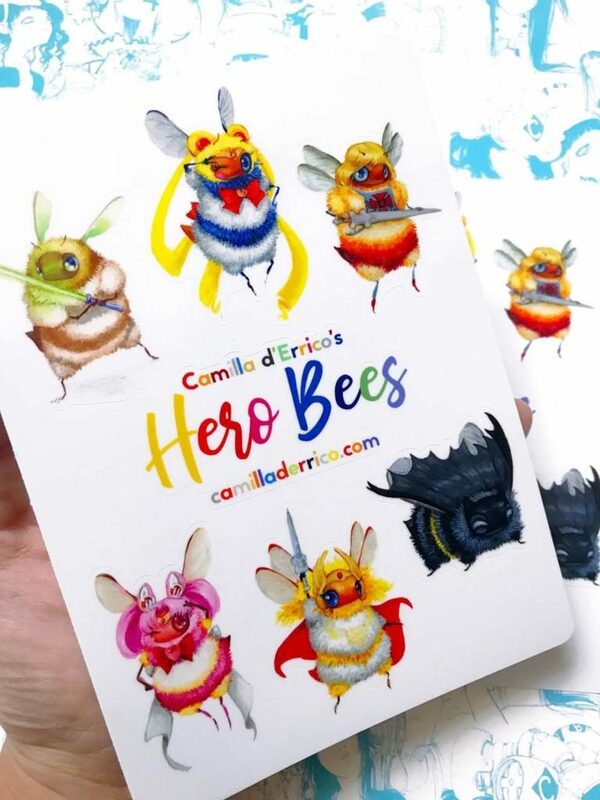 The bees transformed into famous heroes and villains, featuring the likenesses of characters such as Batman, Joker, Darth Maul, and Sailor Moon. When viewing d’Errico’s art, it’s easy to imagine her designing each piece digitally. However, she explained she prefers to do it all by hand. She uses pencils and inks for comic book covers, the bees are done with acrylics and her paintings are all done with water soluble oils, an effort to be environmentally friendly. When Canada legalized marijuana, she released her “Flying High Bird” emblazoned with a pot leaf. Special to Planet Comicon she released an LBGTQ Bird to support a community many of her friends are a part of. d’Errico said she decided that 2019 was the year she wanted to take a stand. Much of her art has tones of unity and being free and open. But d’Errico said she has no qualms with taking a stand and accepting the pushback from fans she doesn’t really want if they think there’s a problem with social topics such as homosexuality or body acceptance. Part of taking her stand has included being more positive on her social media. Focused on bringing people happiness and joy despite her own struggles, that’s how she wants to project to her followers. On April 5 a new series of bees will release online, Easter Bees. Instead of stingers they’ll have “fluffy bunny butts.” Her showing of “Zodiac” opens with a reception at the Haven Gallery in Northport, New York on May 11 at 6 p.m. The show runs from May 11 to June 16. Follow d’Errico on Facebook here. Follow her on Twitter here. View her Instagram here. Directly support her on Patreon here.